In this day and age, Forex brokers have come a really long way and there is now a lot of competition. Forex brokers know that if they don’t offer you a good product someone else quickly will! That means YOU can get a really good broker and try them on their demo for free before depositing real money. Gone are the days where traders cannot afford to trade the cross Forex pairs such as the GBPAUD or EURNZD just because the spreads are too large. Even though some brokers are still ripping traders off on these pairs, the competition is now such that these traders can turn around and within a few minutes have another live account up and funded with another broker and far superior trading conditions. There are a few really important non-negotiable points that you should be looking for with your broker. Some factors when trading are super important and when it comes to placing a trade the security of funds is a huge issue. With this in mind it is very important that whatever broker you are looking to trade with that they are regulated and that they segregate client funds. It is important that brokers are regulated by a financial watchdog such as ASIC in Australia or the FCA in the UK because the broker has someone policing them then and they are not a law unto themselves. This also gives you a financial institution to go to if something happens that you don’t agree with. A lot of Forex brokers are not regulated and if they do something you are not happy with and they are no regulated, you have no one to make a complaint to or get something done about it. The biggest outgoing expense that a trader has to run their trading business is their broking costs i,e, their spreads and commissions and for this reason it is super important that the broker chosen has tight spreads & commissions. The other reason this is important is because with many brokers traders are getting ripped off on the cross and more exotic pairs with the higher spreads making these pairs not worth trading. This can then make these traders miss high quality price action setups simply because they were with a broker that was charging too high spreads. Whilst the above points are the really non-negotiable must have points, there are other points that are also really important for traders to take into account when looking for their ideal broker as well. These are all things like making sure the broker has the correct New York close 5 day MT4 charts and that the broker carries more than just the basic 20 or so Forex pairs to trade. A lot of traders when first starting only have small amounts of money to start with and will only be able to fund a small account so it is important to know if the broker of your choice allows small live accounts to be opened and traded with. It would be a waste of time opening a live account with a new broker that did not allow anything under a standard lot to be traded. A lot of traders when they first start only have small amounts of money to fund an account so it is important to know if the broker of your choice allows small live accounts to be opened and traded with. As pointed out above; it is important the charts that the broker uses are the correct New York Close 5 day MT4 or MT5 charts. Why is this so important? Quite often the MT4’s charts will come as a six-day chart. This sixth day candle is not a full day and is normally a 4hr candle that throws out the rest of the price action chart. Because the sixth candle is only made up of 4 hours and the other five candles are made up of 24 hours, this sixth candle throws out the price action and does not give a true or accurate reflection. Instead of getting five accurate candles, the chart has a whole heap of smaller candles all over it that should not be there. The other important reason why traders should be using New York close charts for their daily charts is because of how the timings of the candles are set up. The candles are formed in-line with how the market forms, giving a more accurate reflection for price action traders. The daily candle opens at the start of the week when the Forex market first opens in the Asian session and it trades right through to close at the end of the week when the US market closes. This is the same for the daily close during the week. The daily candle starts/opens with the Asian session and trades right through to close when the US market closes. Do not confuse the MT4 time on the platform with the candle closing time. Whilst traders can go in and change the platform time to anything they like, trades cannot change the time that the candles close and open. This is configured by the broker only. In other words; the broker is either a New York close charting broker or they are not. It cannot be changed. SPECIAL NOTE: If you sign up to this broker below through Forex School Online you will NOT have to pay any deposit or withdrawal fees with credit-card or any method! A lot of markets and FX Pairs including; Forex, Major Indices, Commodities, Silver & Gold and Cryptocurrencies. The traders relationship with their broker plays a really important role. It is crucial that you have a solid broker that you can rely on to be able to make your trades when you need to and at the best prices. Too many traders take the attitude of “it’s only a few pips extra”, but this attitude cannot be accepted with any part of trading. Broking is the traders biggest financial outlay and as the trades become bigger and bigger those “few pips” over time begin to really add up and at the end of the year, every pip that is paid to a broker is profit that is not made for the trading business. If you have any questions about anything discussed in this article or need any help with anything at all, then you can just let us know in the comments below. whats the best broker you recommend John for people within Australia. ? I’m from perth. for outside the US, IC are solid Straight Through Processing (STP) Broker that are not going to trade against you or play any silly tricks. They are not making money when you lose and are making money from your commissions and spreads. As I have list in the stats, they have everything we as price action traders need. They also heavily watched for the financial watchdogs and have to segregate client funds from their own which is good for peace of mind. Can you please recommended any good broker for UK . I have been looking for a long time. as per the article above the broker recommend for all traders outside the US are suggested above in Pepperstone and IC markets as they literally have everything needed for a price action trader to start trading and traders can also open accounts in many different currencies including the pound and then deposit/withdraw with a lot of different methods. Another thing that interests a lot of traders is that traders can trade with either MT4 or C-trader and the MT4 can be downloaded onto a mac without the need for any conversion equipment whatsoever. all of the brokers discussed in this article (Pepperstone, IC markets & FX Choice) are ECN style, Straight Through Processing (STP) Brokers. How must I know if a broker has new York close 5 day mt4 and why the people in US must use the different broker to the people outside US. which broker can you recommend for people in South Africa? and please explain to me meaning of segregated fund. you will know if a broker has charts with 5 day New York close candles or not by the time their daily candles close and if they have 5 candles per week or 6. Their daily candles should be closing in-line with NY each day. The reason we have a broker that is different for US traders is because a few years back now the US government clamped down on trading and make a bunch of strict rules. When they did this the vast majority of brokers outside of the US stopped allowing US traders to trade with them apart from a few and the ones that did still accept US traders normally had the same very strict rules in place such as max 50:1 leverage etc. So in answering your question; US traders are not accepted with the first broker because of what I have just explained, but they can join the second broker. This second broker is one of the very few that does not hold US traders to the normal CFTC rules because it is not based within the US. You should look at the first broker that is outside the US. I have accounts with both of these brokers, but for you the outside would be the best option. Segregated funds means that they are keeping clients funds “Segregated” away in a safe bank completely separately to all the company funds and not actually using them for other purposes they should not be; such as joining them with their own brokers funds and then sending them overseas as part of hedging. Thank you Johnathon for this kind of usefull information it help me a lot but how can I found out if a broker has a segregated fund or not? I just want to know the difference between mt4 and ctrader plantform? there is not a major difference in the way that cTrader functions. It is still a solid platform to make trades, but the major differences are how it looks, feels and it set up. Other than the look & feel the biggest difference is that brokers can access “True Ecn” trading rather than just “Ecn Style” with the cTrader platforms with spreads starting from 0 pips. This means that you will pay smaller spreads, but commissions on every trade you make. The other changes of note are the extra time frames in cTrader compared to MT4, but this is not a huge deal because there is a work around. What you need to keep in mind is that if you are using anything like change time indicators or position size indicator or any other indicators at all that are built for MT4, these obviously wont work in cTrader as well. thank you for answering my question but I got other questions here. there is this broker that I tried to use and they have 6 candles a week if I tell them that I can not work with them because they have 6 candles instead 5 candles a week they telling me that once I deposits the money they can change the platform to New York close 5 day chart. I want to know from you that is it possible to change for me only while other of their client using 6 candle chart?. It sounds like a load of rubbish, but I can’t know for sure until you tell me who it is and then I can tell you. Who is the broker? Some brokers can give you both 5 day and 6 day charts depending on their feed, but this is only a few major brokers and they should be able to give you this on demo as well if you want it. The whole reason a broker gives you a demo is so that you can try them out, you like them and then you sign on with them as a live client. Don’t give any broker money into a live account looking to get some service that you have not already seen. HI Jonathan, reading through your site and saw this question: OANDA told me this also. I’ve been trying them out on Demo and found that their spreads are ridiculously high, even in non-news times. I couldn’t figure out how a trade had been stopped out when no daily candle had come within 28 pips of my stop. I sent an email to my acct mgr who called me and told me it was because there was a 30-pip spread! He then tried to justify that although it was over 12 hours AFTER the news event, that because it “is an odd currency pair and not a major”, (AUDUSD?? Seriously?) that the spreads extended longer after the news. THEN he quickly changed topics and tried to convince me I could “build your new career” if ONLY I opened a live account with $50. After I picked my jaw up off the floor, I told him “I already gave to charity this year”. Hi again Jonathan, since I’ve been really happy with my non-5-day broker, (who may well implement 5-day in the near futureH; do you know any Chart services, NOT broker, that offer this? I haven’t checked yet-I will as soon as I’m done with this, but 2 examples of what I’m taking about would be TechnicianApp by ChartIQ or TradingView. I’m sure there are others out there. I’ll check the 2 above and let you know if I can figure it out. IC Markets are charging 3% Bank Processing Fee on all deposits and withdrawals made with credit cards in all currencies other than Australian Dollar. This fee is too much for the small and new traders like me. Can Forex School Online members be exempted from paying this fee to IC Markets on deposits and withdrawals? Pepperstone is not charging such fees. Thanks. if you sign up through Forex School Online you will not pay any fees for depositing or withdrawing through either Pepperstone or IC markets. This goes for all methods including credit cards. After signing up send me an email and I will help you. I am very pleased to inform that the 3% Bank Processing Fee charged by IC Markets on my initial deposit was refunded to my account on your intervention even though I did not sign up for a live account through FSO website. This fee has also been waived for all future deposits and withdrawals. I am thankful to you by heart for the personal efforts taken by you to solve this issue with IC Markets. I am sure that FCO members will take this opportunity to open live accounts with the recommended brokers without any processing fees as clearly mentioned in the ‘Awesome Note’ on this page. I appreciate your willingness to help new traders not only to train them in trading but also solving their problems arising during their learning process. I was wondering Johnathon if you are able to keep your demo account if you open a live account. yes! A Demo account and live account are two completely different things with two different numbers. The other things is; you can open as many demo accounts as you want and I strongly encourage this over time. You will probably find that your demo will only last 30 days, but what you do then is take the balance of your current demo, for example; say you have managed to build your demo from $5,000 to $6,000, take the $6,000 figure and open the new demo with $6,000 instead of the normal $5,000, that way you are continually going up and down and keeping track as you open new demos. You just use your trade journal then for trade tracking. I am in the states and currently using the broker Tallinex. If you could give me your opinion on them I would greatly appreciate it. I have not had any problems but do not know if they operate on New York 5 day close charts. Also in regard to FXchoice which account type should I choose? For example MT4 pro or MT4 classic variable. I am not sure about Tallinex to be honest with you. In this day and age there are now so many brokers and white label brokers it is very hard. Individuals are literally popping up as brokers and there are now thousands of brokers around the world. I have tested a lot of them, but Tallinex is not one of them. This is not to say they are not great, it’s just as I have just said, there are many these days. To find out of they are NY close you just need to see if their daily candle closes at 5pm New York time also making sure they only have 5 candles per week and not 6. Whether you get the pro or classic is a personal choice. This is how most STP brokers work things. They have one account that has good spreads, but they do not charge commissions and this would be the Classic account and the other account would charge commissions, but have better spreads and that would be the pro or ECN. Completely personal choice which way you go. FCA regulkation is great for UK based brokers, as they guarantee safety of funds. i had an account with Alpari UK, before the swiss tsunami earlier this year. my account went bust, but i later got my funds returned. since then, i look for FCA regulation before opening any account with any broker. my fear is neither peeperstone nor IC markets is FCA regulated. what is your take, John? Each country or area has their own financial regulations or financial watchdogs. The reason Pepper and IC are not regulated by the FCA is because they do not operate out of the UK. They are also. The same for other brokers not being regulated by the strict CFTC controls in the US. Once again it is the same reasons. Pepper and IC are regulated by ASIC which is the super strict Australia’s corporate, markets and financial services regulator. This same regulator that looks after these brokers also looks after the Australian stock exchange that is processing all the billions of dollars of trades every single day. I’m looking at using a different platform than mt4. The ones I’m looking at are ProRealTime, Tradestation, Multicharts. What’s the difference between a Standard Account from a True ECN Account? most brokers have the same or very similar setup. They will have a standard and an ECN account. Basically it is just the two options with how the accounts are set up and how you want run your broking account. The standard account means you will have solid spreads, BUT will NOT pay commissions. The ECN account means you will get tighter spreads, BUT you WILL pay commissions and these will vary from broker to broker just like the spreads vary. the experience I had with FXpro was quite a few years ago now when there was literally no competition arouund, they were one of the very few New York close brokers using MT4 charts. In the last 5/6 or six years everything has changed. Every man and his dog offers 5 day trading and MT4 charts. I know they have changed what they offer as well so I can not say any more with a honest, good and up to date review for you what they are doing now. You can do this though if this is the broker you have your eye on and want to trade with as you think you would be most comfortable with them. Do as i recommend in this lesson; Make a list of the “Major things that the broker MUST MEET” such as >> They must be regulated, they must segregate their funds, they must have NY close charts, etc, etc and all the musts that YOU NEED. Then if the brokers meets your list, test them. Open a very small live account to test how they are with deposits & withdrawals. This is how I found one broker lost my money and could not locate it for 50 days. This is how you learn not to go with them! Best to learn these lessons with $200 though right? I used this method I just gave you for tons of brokers to round down the bests ones to live test with because obviously you don’t want to be depositing and opening accounts with them all and you need a checklist to find the ones to try out. submit is written by way of him as nobody else understand such certain about my trouble. Sir, pls have you used forextime? Do they use New York Close 5 Day chart? Or is there any broker, you can recommend for people from Nigeria, plsss. I am not sure about Forextime. Send me an email if you like and I will send you a list of a few brokers who do this. Just FYI: YES, TradingView DOES have 5-Day, NY Close Forex charts!! I recommend you download a free demo platform of any of the above New York close 5 day charts. You can trade with whatever broker you want to trade with. This does not change. Just use the demo charts to plot, watch and trade your price action using the full power that the charts offer for free. Do you have an article talking about MT5 charts? I am curious on your thought of MT5 compared to MT4 + your indicator? Investopedia has a ton of good info on this sort of thing and they are generally pretty reliable and on the ball! It’s been a pleasure being on this program. I’ve just opened a demo with pepperstone, should I be expecting calls for coaching from them? At this point I’m using my limited knowledge gained from fanancika, ever heard of them. I lost all the funds in my account with them. No, i’ve never heard of them, but to be honest, there are so many thousands of brokers now and so many of them just spamming off the big guys like Pepper and IC and a few of the others who do a really great job. There are other really good brokers out there and I am always keeping an eye out and on platforms also, but these two are so cheap, so big and do it so well. They are a broker and don’t do coaching. Is pepper stone the broker I should be using in Canada or should I use the US broker you suggested? Heya Kyle, Pepper don’t accept residents from a bunch of countries and Canada is one of these. If you are outside the US the best brokers are Pepper and IC and to be honest they really do not have anything different about them. They are both cheap, reliable, strict regulations, great support who actually know what they are talking about which is extremely rare, great charts and pretty much the reason they have both gone from being tiny to the biggest in a few years. Your article is very insightful. I am from Nigeria and a new trader. Hope, I can also use the brokers outside USA, i.e. pepper or IC? IC Markets are strictly regulated and you can test their demo above. Any questions let us know. I recently came across your website and it is very impressive. I am Business Development Manager with BD Swiss and I have a business proposal I would like to discuss with you. As informed by IC Markets, they will terminate client agreements with Canadian residents with effect from 26 July, 2018. Which broker you suggest for us residing in Canada. Thanks. Can you please recommend a broker for Canadian residents as IC Markets is terminating Client Agreements with Canadian residents from 26 July. Thanks. a few of countries are doing this such as Canada and New Zealand. FX Choice still accept Canadian residents and offer New York close charts. I think pepperstone may still offer trading to Canadians at this stage and are also a good broker. Again it was a great article. I already had an account with ICMarket for a while. I haven’t been making any withdrawal yet but in-case in future i do, I would love to to have the 3% off my fees. Is it possible to open new trading account with same broker with same identification ? what is the best option that i have ? send me an email support@forexschoolonline.com and we will talk to them. I want to subscribe to your trading news. I am in Italy, I want to open an account with IC Market. Is this possible? yes, IC Markets accept Italian traders. 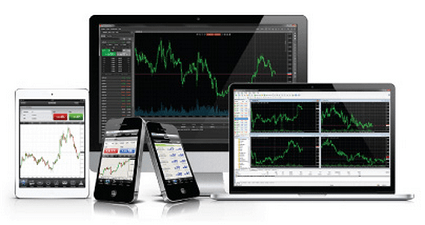 Just click to open an account and select whether live or demo and then download their free charts. I had a demo account with FXCM and being in the US were told we had to close their account, due to US regulations. I opened an account with Oanda and my charts still look the same. So why didn’t I get NY closed charts? I am very confused. I was told you can’t change time in the charts? Was that wrong? I just want to have NY close charts. Can you give me a step by step way to do this? US regulations are stricter these days. You cannot change the chart time frames, but a some brokers do offer different server times that will have different candle closes. I am fairly sure Oanda also operates this way and offer a couple of different servers each with different candle closing times (one being NY close). If you would just like NY close charts, then download from above either for traders in US or from IC for traders outside US. I am enjoying the lessons from you thank you very much .I am in south africa which broker will be best for me . IC Markets accepts South African residents. They just do not accept US/NZ or Canada. I’m new into forex trading with zero idea, although I attended two seminars with Learn to trade in Sydney. Its seem they dont want to reveal the whole concept so that we can be independent, they want us to start forex trading with them. Please, can you explain to me the steps to start forex trading. Use your demo account and don’t move from it and trade real cash until ready. HOW TO JOIN VIP MEMBER? I already have NY close daily charts… But I have a question relatively to 4h charts… There’s some brokers that have the 4h candles closing at the same time that the daily closes, but there’s others where the 4h candles closes only one hour after the daily close. Because of this situation we can have different ”price action story” in different brokers, so what’s the most reliable? I hope you can clarify me about this! How do you deal with this?Wich 4h closing do you use for gold? yes this has been the case for many years now regards Gold and different brokers. What price is doing and how it is behaving is what we are looking at. The overall story is the key and the last candle used as confirmation. Regards Babypips; it has over 5 millions views and content is still there for all that need it. I wish I could be everywhere, but only so many hours in a day and have to use them as best I can. My income is so little and I can only afford account of from $10 up to $30/40..
whilst I cannot speak in regards to XM as I have not traded with them or researched them to know what they offer, a lot of market makers will freeze or have slow fill times. To answer other question; IC Markets discussed above is ECN and allows small accounts. If you are not yet sure if you are profitable or are wanting to save for a littler larger starting account, then you could possibly test your strategy on a demo account without risking any real money until you are ready to go live which would also help build confidence in your method. fxchoice classic demo is not ny close chart. the server time is the same as icmarket but the candels in d1 and h4 time frames are different. nice to hear from you. Both IC and FXChoice NY close, but you are correct; different NY close brokers will show different prices to each other slightly. This is because the Forex market is not centralized and they are each pulling quotes from different liquidity providers, and not one central market. I know that due to certain regulations the US lost quite a few brokers. I just found out that IG Brokerage is in the United states. Do you know if they have 5 day NY closing charts. I really get confused. I have Oanda and they are suppose to have NY closing charts. I can’t tell the difference. They all seem to start a new day after 5pm. Can you give me away of determining a 5 day NY closing charts. I have put separators on a chart, They don’t seem to separate by months weeks, if so I can not figure it out. Any help is very appreciated. I think other would like to know this as well. I us Oanda, they are suppose to be a 5pm NY close charts. How do you see 5 candles per week? I cannot comment on all the different brokers as I simply do not follow all of them and how they operate as there is far too many. It can be tricky especially when you throw in the time changes for daylight savings and different GMT offsets that brokers offer on their charts. For the 5 days, you should be able to see by looking at dates of candles if they are offering 5 or 6 candles per week (just hover over candle and check dates). For times; as I said the offsets can be tricky, but if you work NY close back to your time, and then time your charts are closing, then it becomes a littler easier. IC Markets (similar to a lot of brokers) do not accept US residents. If I have $55, leverage of 500:1 can I be able to place order by 1.0 or it’ll only accept orders under lot size 0.1/55. You respond will be much appreciated.